iSUPs became for sure the most important part of our market, 22 iSUP models from 7’2 to 17’ (available in 3 colours choices). Hard SUPs still an important part of our business with 11 models. Our hard boards are now produced in our very new factory based in France (focused on recycled and organic sourced materials, all sourced in Europe from the EVA to resins developed for us, the fibres and all sandwich components). Paddles keep a large part of our brand, once again we developed new blades and flex controlled. After 2 years of RnD we finally launch our iSURF in fusion tech, 3” and 2.5” thick which is a little revolution in drop stitch construction. This season 2019 we celebrate the 11 years of Lokahi, we are proud to say we’ve been able to keep the brand independent. Accessibility, quality and pricing have always been our focus, of course, as we say you get what you pay for but there is so much concurrence nowadays compared to 10 years ago that our price strategy and personalized relation with all our distributors and dealer pays. 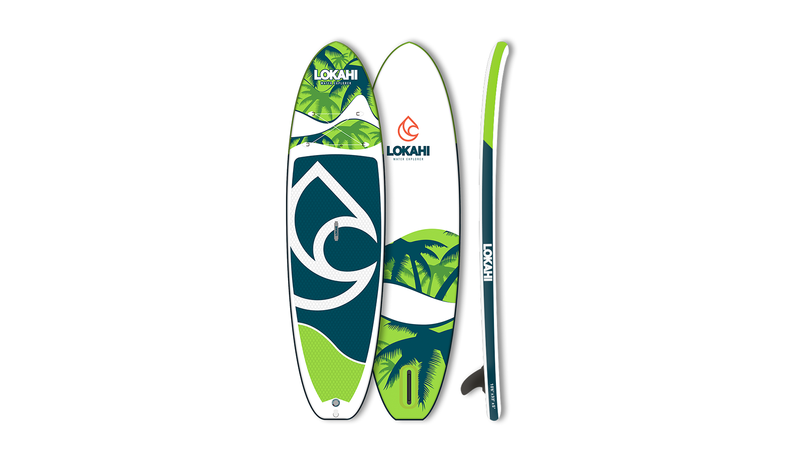 It is important to look and learn from competitors, but since the Lokahi adventure started we have our own vision to shape SUP boards and paddle and we develop our own components. We spend a lot of time not only in RnD but also in factories, the new production site in France is a good example, it’s not a dream to feel good with a relocated production, Asia is amazing, but a lot of products can’t be produced as well somewhere else, but our goal is to source/produce/sell as much as possible in the same reason. We are here to make a living like a bakery does, we live with and for it. 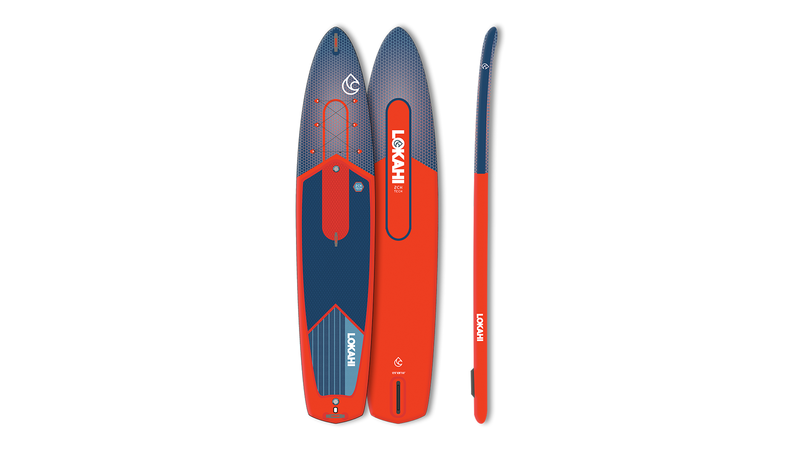 All around boards and wave boards are historically Lokahi best sellers, but the past 3 years we invested a lot of time and money re-develop a strong range of touring boards (iSUPs as well as hard SUPs). Our paddles range is also more recognized than ever. Oh! This is an important subject for our company and brand! Part of our collections are made far East in selected factories thanks to years of partnership, this is for sure a big part of Lokahi’s success (time spending in production sites). Our iSUP and iSURF have gone from a single layer, to double layers, stringer technology, fusion, 2chamber. If you sit comfortably in your office you get lost and don’t understand the quality details. Let’s say a single layer is not to get only price, you also have to think who do you plan to sell it to, the same for a fusion board it doesn’t mean it’s the best, who rides it, where, how often… When it comes to our hard boards and all other epoxy products we open our own factory in France, of course a “made in EU or made in France” stamp looks good on a catalogue but if it is to produce the same way that we always did in other places it makes no sense to invest so much effort and yes a lot of money! Having our own RnD building and production facility allows us to develop products which will be difficult to replicate. We looked around in all industries to find different (more nature respectful) ways to produce with different materials (all sourced in EU). With the help of passionate engineers, we develop our own machines with always to focus on recycling as much as possible and using bio-sourced materials. Imagine riding a board or paddle with a stick which is up to 60% organic sourced and materials no waist dropped to near 0! This French facility is open to other brands which are interested in taking this path with us. We don’t under Lokahi, but we practice this incredible new way to ride, we are very close to one of the brands which are today a leading brand.